The three of us were always close. 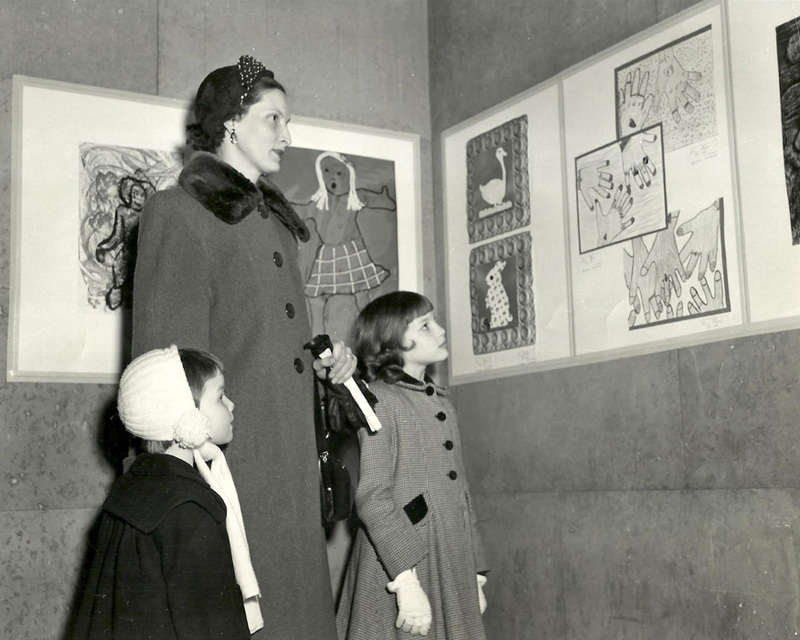 Here we are looking at student drawings in Cedar Rapids, Iowa, where our father was Assistant Superintendent of Schools prior to our 1955 move to the Northland, where he became Superintendent of Schools for the North Kansas City School District, a position he held for the next 22 years. 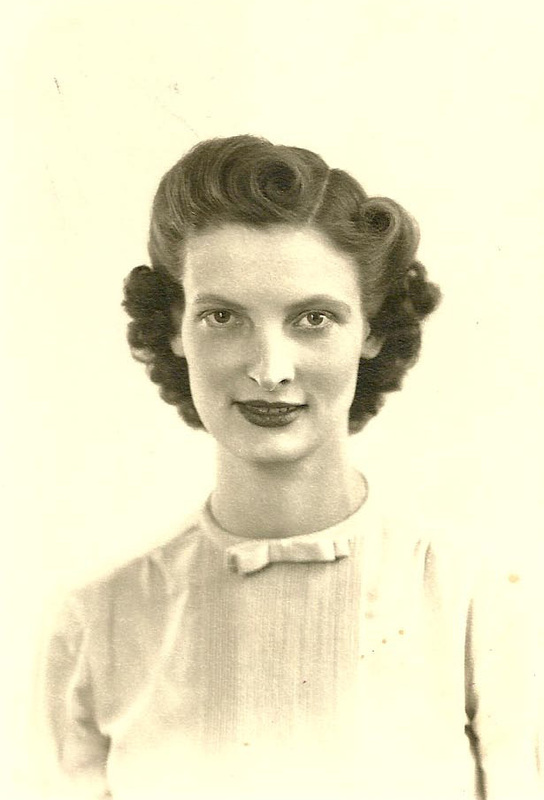 Our mother, Luvaine Letha Scott Doolin (Lu), when she was in her 20s. She was very smart and graduated first in her albeit small high school class. She completed her bachelor’s and master’s degrees and was an elementary reading specialist. 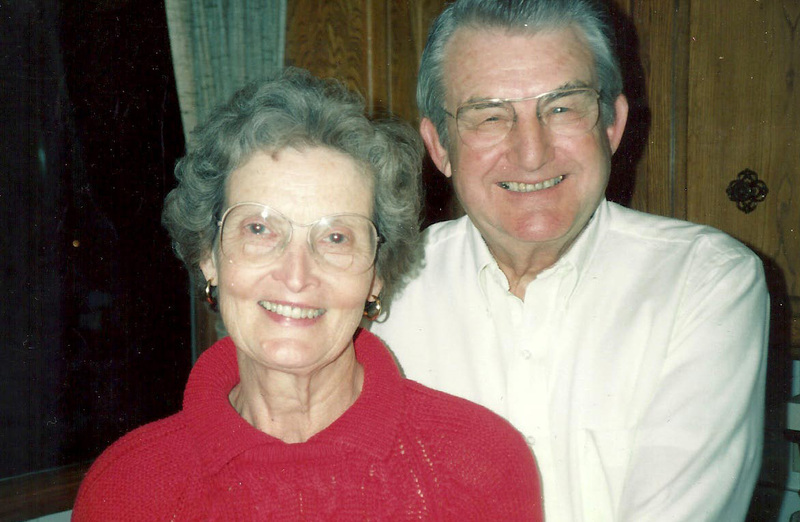 The last photo of our mom and dad shortly before his sudden death in 1990. 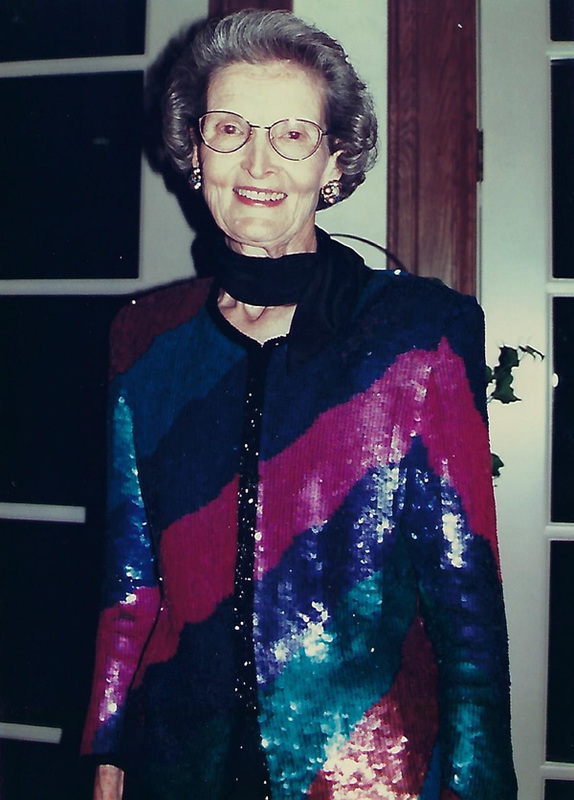 We believe the seeds of her Alzheimer’s Disease were at work as we reflect on this, but she would not be diagnosed for another five years. We were grateful to Lu for the roadmap she graciously provided to ensure the greatest peace of mind possible. This picture was taken in the early to mid-90s. She needed help getting ready that evening, but she was still living on her own and doing well with some help. 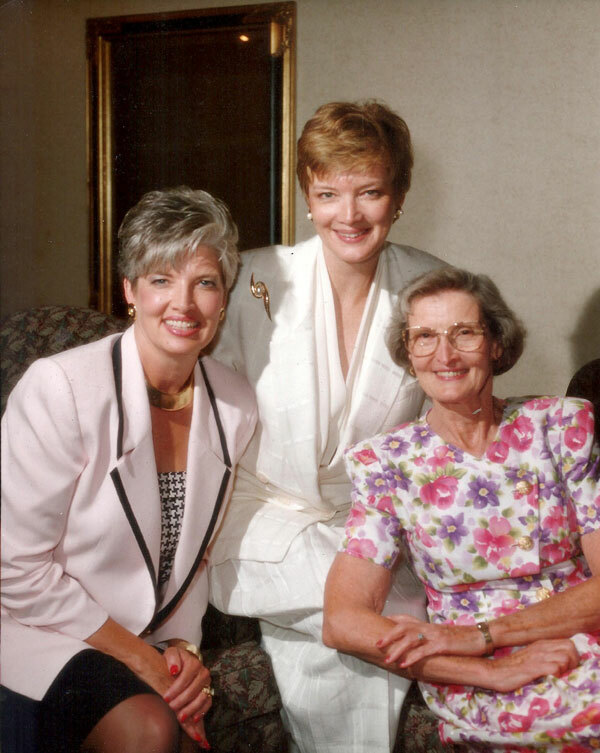 One of our favorite photos of the three of us, taken in the mid-90s at the wedding of a friend. Take a Minute to Read This… Your Family’s Future Harmony Could Depend on It! Some have said that Americans are the only people on the planet who believe that death is optional. We are a youth-loving, death-defying people. But most of us really know better. In 2014, the Institute of Medicine (IOM) released its report, Dying in America. As the IOM website states, “no care decisions are more profound than those made near the end of life,” and we have a “responsibility to ensure that end-of-life care is compassionate, affordable, sustainable, and of the best quality possible.” As 2,200 people in our region turn 65 each month (10,000 per day nationally), this IOM report is both important and timely. Diverse as we are, all of us will share the experience of dying. In our society, we try to push this fact of life away, and we would rather talk about almost anything else. Guidance and encouragement from the prestigious Institute of Medicine about end of life gives us another good reason to talk about it. Our mother lived through the experience of our grandmother dying from complications of dementia and cardiovascular disease. When she received her Alzheimer’s diagnosis, she sat down with us and we “had the talk.” She knew the course of this disease and the decisions we would face as it progressed: increasing needs for assistance with daily activities, appropriate precautions to keep her safe, treatment options that she wanted to avoid including feeding tubes and ventilators that she knew from experience would not be helpful. She was very clear about what she did want and what she did not want. BOTH are equally important. Over the next eight years, we were guided by her clear and early direction. Even as she lost the ability to speak in the last two years of her life, we were informed and reassured by her great wisdom and foresight. It was heartbreaking to lose her, especially in this cruel way, but she had given us a precious gift — complete confidence that we were doing what she would want us to do for her. From personal experience, both in our respective professional roles at the Center for Practical Bioethics and in Nursing, as well as our role as daughters, we strongly urge everyone to engage in “having the conversation” ahead of any health crisis. It may be the most important conversation you and your family will ever have. Each one of us needs to name someone to speak for us when we cannot speak for ourselves. Data show that 85 percent of us will be without the ability to make our own decisions for any number of reasons in the period of time just prior to death. The Center for Practical Bioethics has developed several tools available on the website www.PracticalBioethics.org as well as a program called Caring Conversations® in the Workplace to provide a process to help with this often difficult “talk.” Anyone can download the Caring Conversations® workbook at no cost from the website. Employees from the companies and organizations who currently participate have the chance, with the help of a Center staff member, to understand the profound benefit that initiating this “talk” can have on families. The workbook and workshops also provide useful tips about how to get your family to engage around this difficult topic. That candid, honest conversation can literally be the difference between two alternative futures for your family. Have the conversation! It will be EMPOWERING and LIBERATING for you and your family.